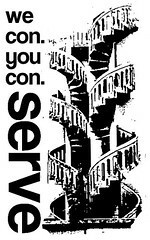 If you walk around Tiong Bahru's Pre-War section and notice a Harvey Norman, Courts, Best Denki or whatever home appliance delivery trucks around. Stay a little longer to watch this scenario being played out. Watch and learn from it. DO NOT BE the next victim of the 27' metal door frame! New Home! New Stuff! New REFRIGERATOR. BUT WAIT!!!! Did this owner remember to measure the width of the metal door frame? Maybe yes, may not. Let's watch. Should we go in this way or that way? I guess sideways could be a possibility! Looks a bit tight but I think it may just squeeze through. To be safe, better use these cardboards to prevent the sides from being scratched. Otherwise we have to write this one off and bring a new one back. 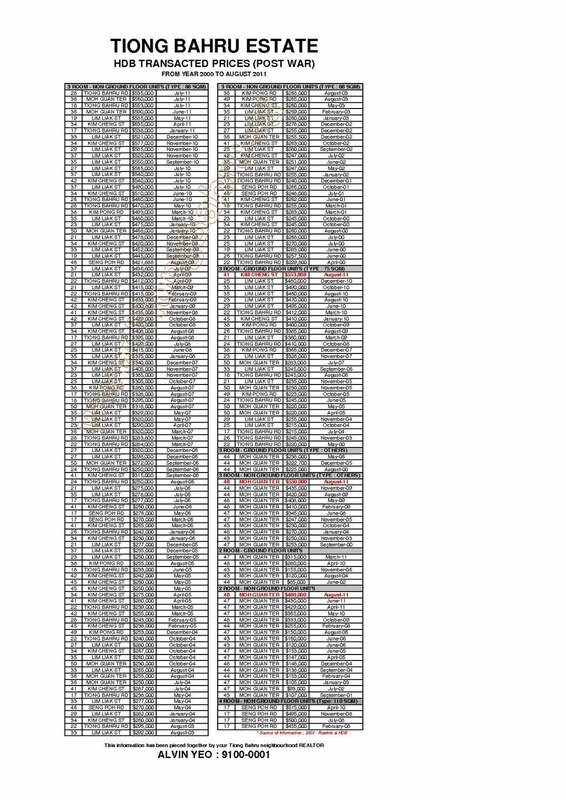 Like this sure kena deduct salary one ah. Success! We managed to squeeze it through! Phew! There is definitely a lot more elbow space now. Job done! Refrigerator delivered and installed! 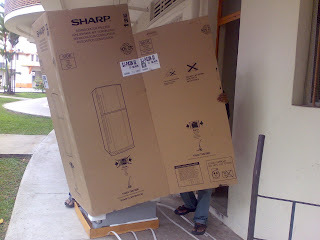 Every time we deliver a refrigerator to the Tiong Bahru Estate, we just gotta pray real hard that our customers had taken notice of that narrow doorway that has a metal door frame that makes the passage even narrower. 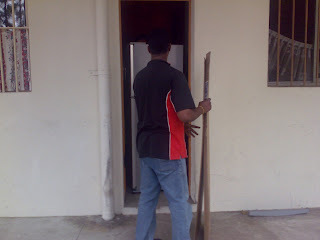 Many remembered to measure.....their own door width but they tend to overlook that METAL DOOR FRAME! 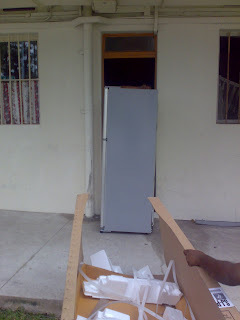 Today luckily the owner took the trouble to measure it and we don't need to use our brains on how we can squeeze the refrigerator through. 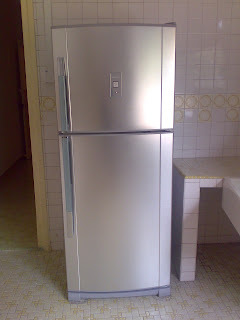 Please help us, please buy a tall and slim refrigerator if you live in this area. Remember, the width of the metal door fame is only 27 inches! Remember, only 27 inches. 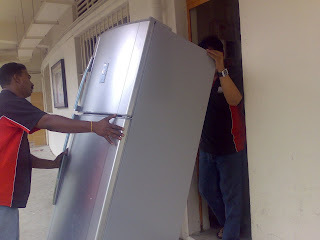 But if the fridge is new...it may VOID the warranty leh. And some of these people may not be able to align it back properly. this site is superb for a newbie like myself looking for a unit in this area! 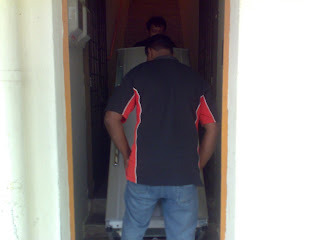 The last time i bought furniture, heng heng i remembered the narrow door frame downstairs and measured it! The pictures are hilarious, could have been me if it slipped my mind then! 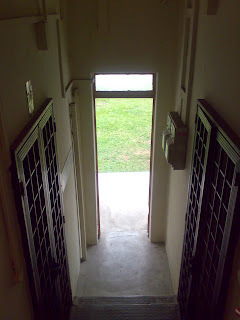 Loved Tiong Bahru estate, stayed here 36 years lo! I have never seen this kind of posting before. The delivery man are awesome. 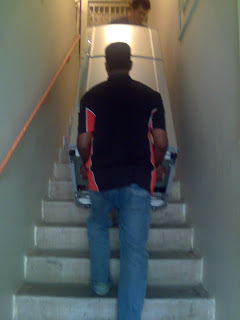 Delivery Service mans are able to learn from you guys.